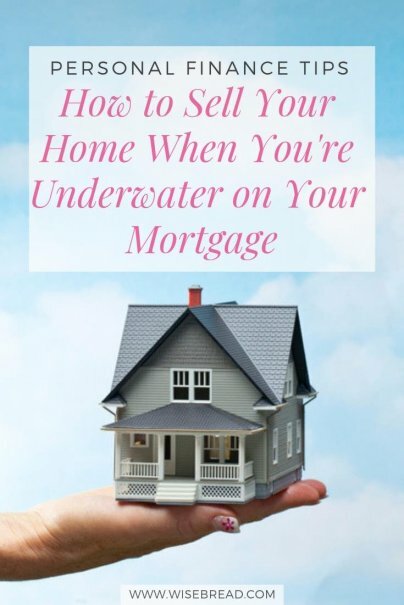 It's no fun selling a home when you're underwater on your mortgage. Being "underwater" is when you owe more on your mortgage loan than your home is worth. Why is selling a home with negative equity such a financial hit? Instead of making money on your home sale, you'll lose it. Say you owe $200,000 on your mortgage, but your home is worth only $180,000. You'll struggle to sell your home for more than that $180,000 value. And even if you do sell at that figure, you'll still owe your lender $20,000 after you close your sale. This means you'll have to write your lender a check for $20,000 at closing. That's not the outcome any home seller wants. What if you are underwater on your mortgage? The best advice is to hold off on selling your home, if possible. That way, you can hope that your home gains value — hopefully enough so you no longer have negative equity. You can also wait until you make enough monthly mortgage payments so you no longer owe more on your home loan than it's worth. If you can send extra money to your lender to be applied directly to reducing your loan's principal balance, you might be able to build equity at a faster pace. The good news is that the number of homeowners who are underwater on their mortgages is falling, compared to what it was a few years ago. CoreLogic reported that in the first quarter of 2018, the number of homes with negative equity had fallen 3 percent to under 2.5 million, which represents 4.7 percent of all properties with a mortgage. If you have no choice but to sell, the key is to set the right asking price for your property. If you're underwater, you might want to set an asking price that's higher than what the market says your home is worth. Resist this temptation. Buyers know what a home is worth today. If you set your asking price too high, most will pass your home by, looking at other properties instead. You can't force buyers to pay more for your home because you're underwater, because buyers don't care what you originally paid for your home. Spend time on your home's exterior, too. Make sure the lawn is neatly trimmed, all weeds are pulled, and you add pops of color with some bright plants. You want buyers to be excited when they pull up. If they see a well-maintained and inviting exterior, they'll be more eager to tour the inside of your home. The key here is to squeeze the highest possible offer out of buyers. To do that, your home must be in top condition, both inside and out.